The following day, pour the macerating mixture into a stainless bowl and cover with 500ml vinegar, cover with cling wrap and place on a double boiler until it is hot. Once hot, remove from heat, and leave to slowly infuse until lukewarm. Impurities will rise to the serface and should be skimmed. Once the mixture has cooled and properly infused, strain through a moist piece of muslin. This step will remove the fleshy pieces of fruit that you do not want in your vinegar. Bottle your cooled, strained mixture. Tips: If you are making the vinegar a gift, remember garnishing the bottle with fresh berries is not recommended, as they will discolour. For visual effect, rather add a vanilla pod. 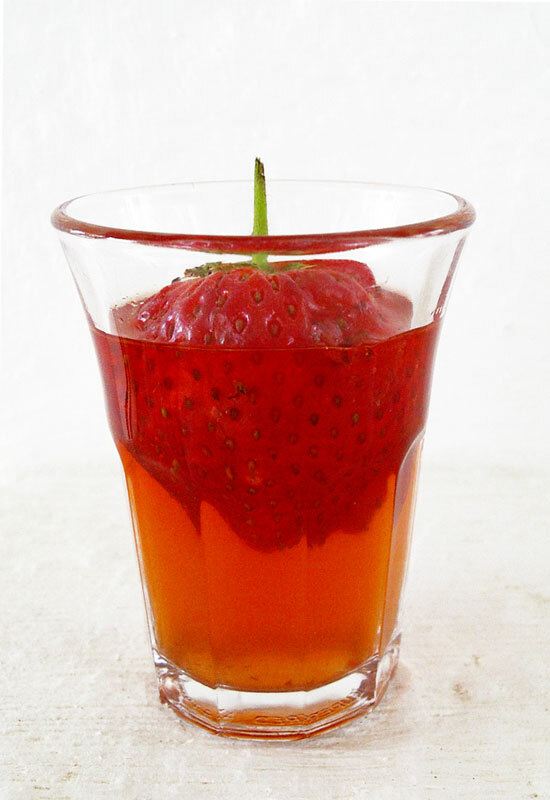 I have allowed for 250ml additional vinegar – some people prefer a milder strawberry taste, so you can add more vinegar. Take care as this will dilute the taste. The strawberries can be substituted with any berry in season – the riper the better! Rather stick to a single flavour as the colour will be better as well as the flavour on your end product.